I was quite worried about making this cake. 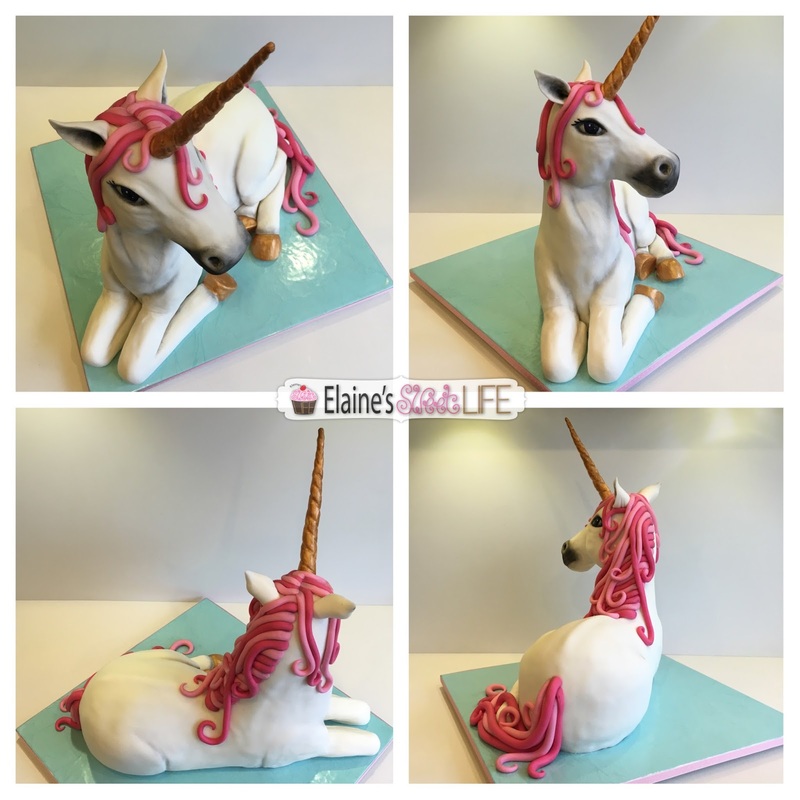 Because of my shoulder problems, I've not made very many cakes over the last few months, and certainly none as complicated as a 3D sculpted Unicorn! As the time came nearer and nearer to start work on it, the less I actually wanted to do it! Finally, it was time, I got stuck in, and thoroughly enjoyed myself! I am so very happy with how well it came out, far better than I dreamed I could achieve! I decided to use polystyrene to form the head and neck, to reduce the load on the structure, therefore allowing the structure to be less complicated. 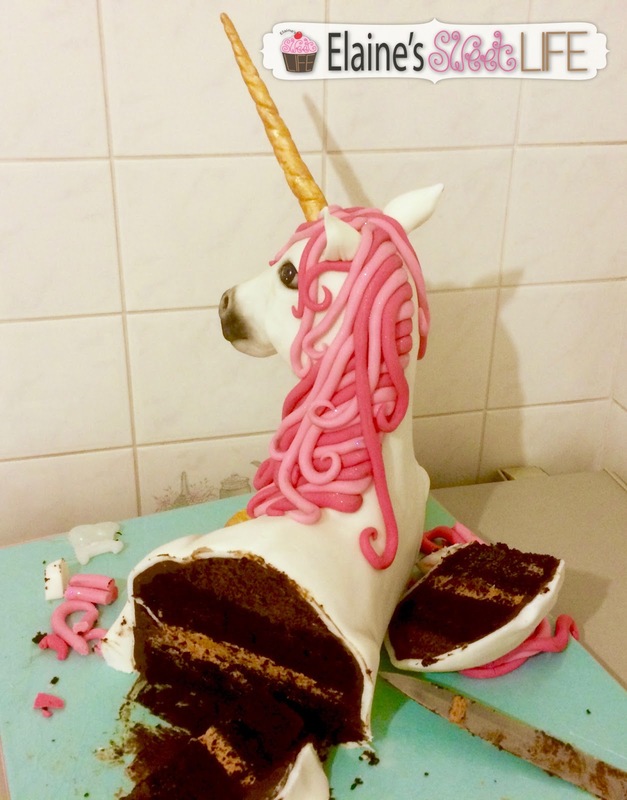 The body of the Unicorn would provide more than enough cake for the party goers, and more. 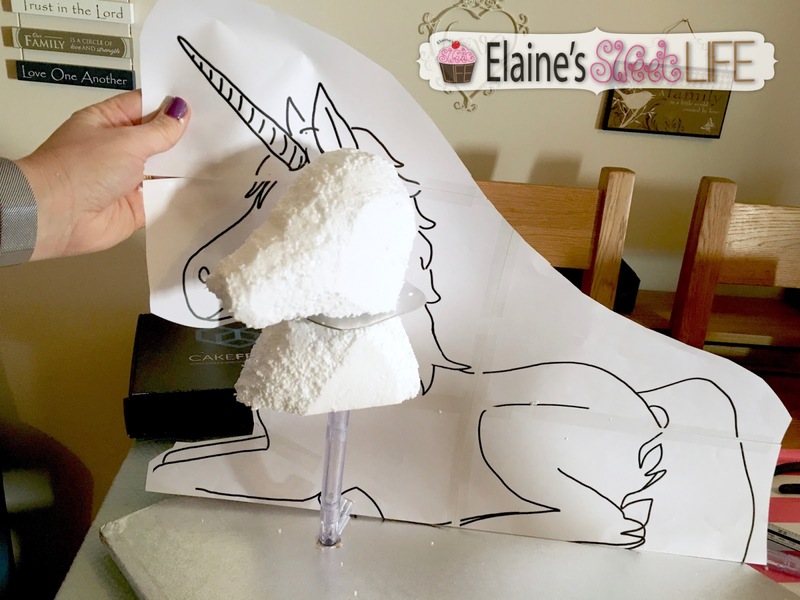 For the structure itself I used cake frame rods, with cake cards in between to support the polystyrene pieces, as well as to separate them from the edible parts of the cake. 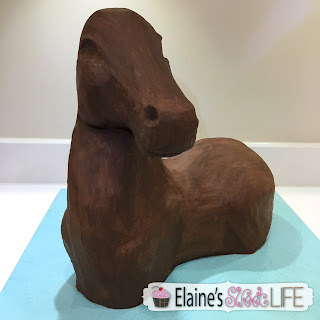 I coated the polystyrene forms with ganache, then cut my chocolate cake to the right general shape for the body, sandwiched with buttercream and trimmed to match the curve of the body. 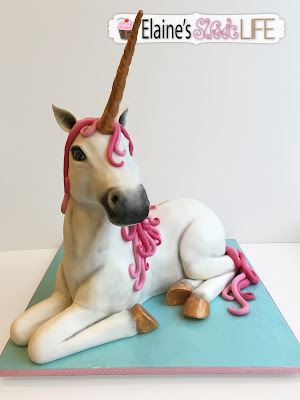 I crumbed the trimmings and mixed them with buttercream and used this mixture to form the Unicorn's back. Once I was happy with the shape, I coated the whole thing with ganache, and left it to set. Then the fun began! 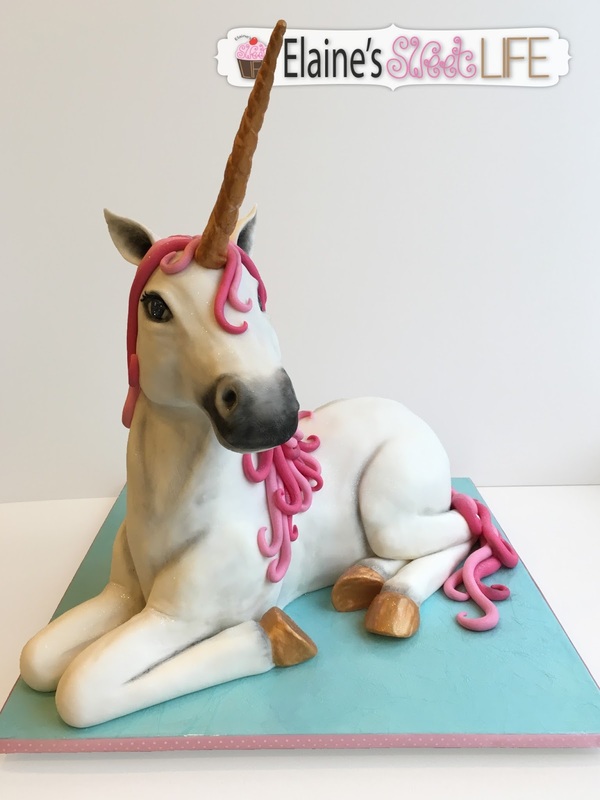 I used partially set ganache to sculpt the Unicorn, incorporating as much muscular detail as I could manage. Because my shoulder is still an issue, I enslaved my son to knead and roll out all of my fondant. He also mixed the colour for the pink fondant. 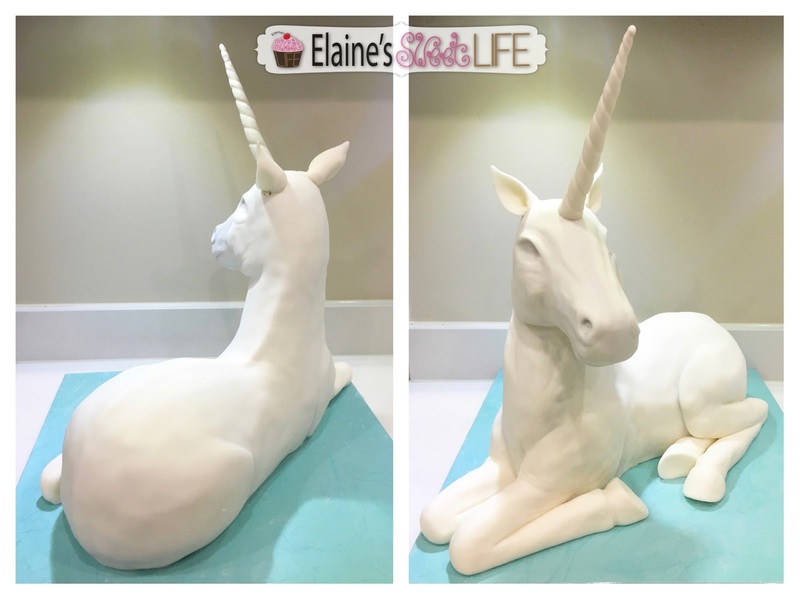 Once the whole Unicorn was completely white, I had added the ears, horn and legs (all fondant) and I was reasonably happy with all of the seems, I left the whole thing to set up overnight. Next morning I tacked the shading (with petal dust), colouring the horn and hooves gold and painting the eyes (with Americolor gel), and adding the tail and mane. 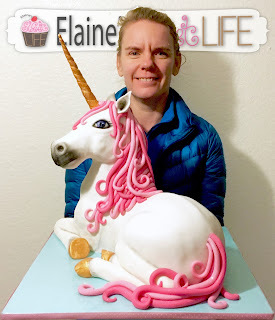 It really didn't start looking right until that mane was added! 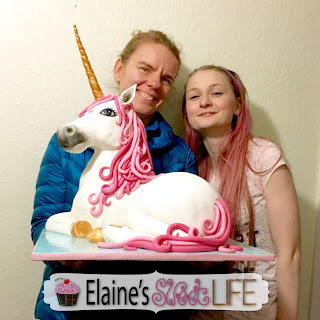 The birthday girl was thrilled with her Unicorn for her 18th Birthday. Happy Birthday Aimee!! Hi! How did you apply and smooth out the legs and ears? 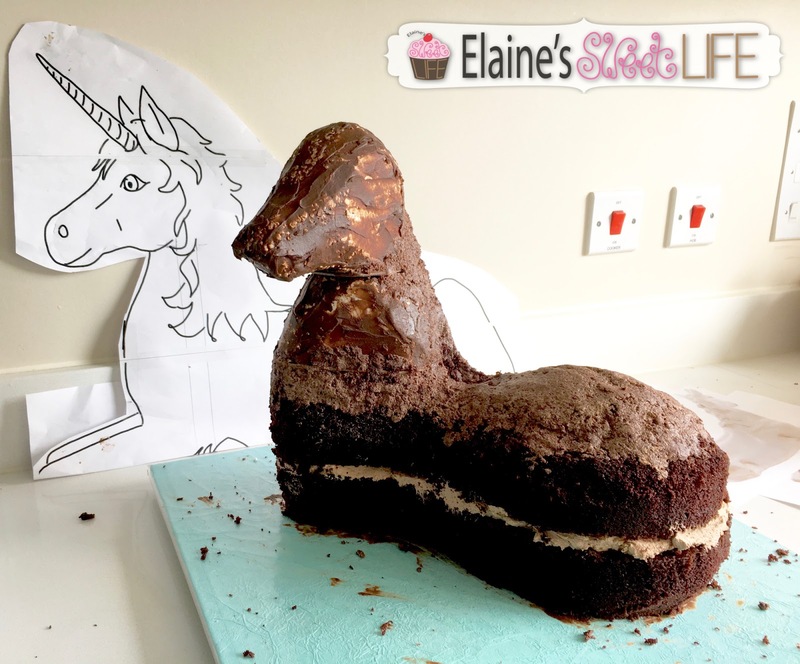 My unicorn looks like frenkenstein! help! I make 'clay' by mixing a little water into some fondant. I use this, as well as various modelling tools to work it into the gaps and smooth it in. Once I'm satisfied, I dust well with corn starch and rub it in until all the the moisture is absorbed, then smooth over again with fondant smothers and tools. This is stunning. You're very talented. I'm going to attempt something similar. Wish me luck! 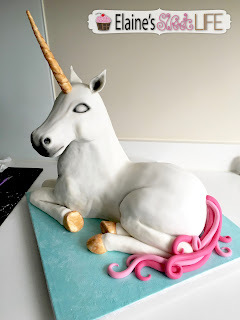 I'm only a hobby baker so it may end up looking scary. May I ask, did you use an airbrush for the shading on the muzzle? and around the eye? Or did you use gel colour (mixed with alcohol?) for everything? Thank you so much 😄 I am just a hobby baker too, thought about starting a business a few times, but I think it would just take the love out of it for me. But I have been doing it for 18 years now and like to challenge myself to try a new technique with every cake. I actually just used petal dust for the shading. No alcohol, just dry petal dust. Good luck with yours! I'd laugh be to see it when it's done! 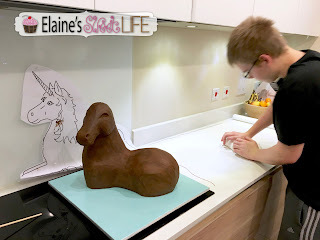 I'd LOVE to see it when it's done! I love this where can I buy one? 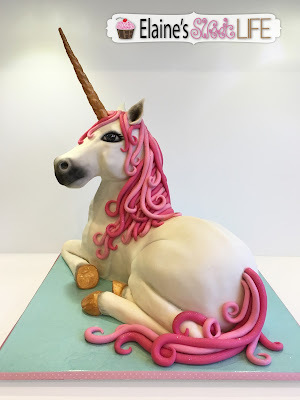 My daughter saw this on pinterest, she loves this and wants it for her 17th birthday. 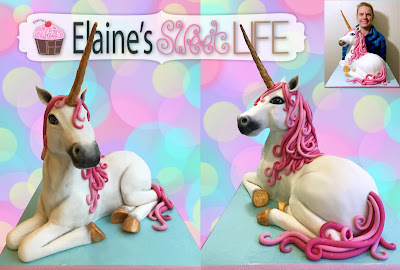 Do you have an youtube channel if you do what us it called because I love baking videos. Thank you so much! I actually used a block of polystyrene (piece of a cake dummy) and carved it myself - very messy business, but fun.